Ferrari Driver Academy member Lance Stroll leads the Toyota Racing Series following the opening two rounds at Ruapuna Park and Teretonga. The Canadian teenager collected another win at Teretonga at the weekend, having previously claimed two victories in Ruapuna. Stroll’s Race One success came at the expense of original victor Arjun Maini, who received a 10s post-race penalty, dropping the Indian to 9th, promoting Stroll. Whereas Stroll secured two further podiums, Maini could only manage a 7th and 4th, while Brendon Leitch and Jamie Conroy took a win each, ensuring Stroll emerged with an 88-point lead. 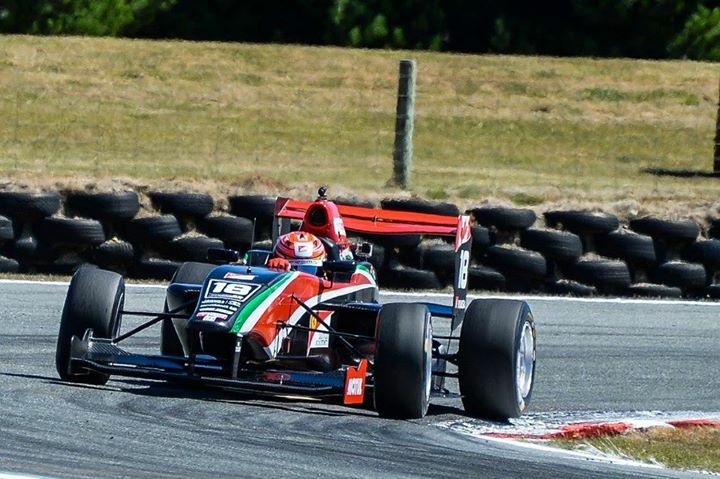 Leitch’s win in the final race of the Teretonga for Victory Motor Racing round broke a run of victories for M2 Competition, who had claimed the opening five races at the hands of Stroll, Conroy and Brandon Maïsano. Toby Sowery claimed the MRF Challenge F2000 Championship in some style this weekend, by taking two wins and a podium to finish well ahead of series runner-up Ryan Cullen. The 2014 MSV F3 Cup champion claimed four wins over the three-round series and only finished off of the podium three times in the twelve-race season. Although reasonably close to Sowery before the start of the weekend, Cullen fell behind following a late, late retirement in Race One and then only finishing 5th in Race Two. Cullen did win Race Three, but Sowery came home 2nd – enough to secure the title. Raj Bharath endured a rather anonymous weekend, but with South Africa’s Kyle Mitchell absent, Bharath sailed to 3rd in the points – the highest finish for an Indian driver in the championship’s brief history. Guest driver Oscar King won the season finale after taking two other podiums, allowing the Briton to finish 7th in points overall. Admittedly the field size and quality of the MRF Challenge was hardly the most startling, but the series was still able to claim at least fifteen runners for its final weekend. Yet with the opening pair of weekend’s taking place in Qatar and Bahrain, one wonders if more could be done – cost and logistics wise – to further promote home grown talent.